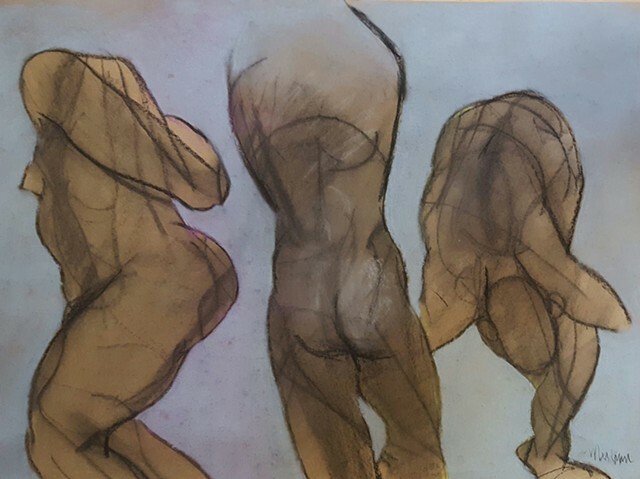 This energetic gesture drawing is an original pastel drawing done from life from three different poses of the model. It is signed. It is not framed or matted and should be framed and matted to protect it if you purchase it.